The Law, The investigation Cycle, Data Protection Act, GDPR, Human Rights, Regulations of Investigatory Powers Act (RIPA), Police And Criminal Evidence Act, Criminal Procedure and Investigations Act, Private Security Industry Act, SIA Standards of Behaviour, Bribery Act, Health and Safety, Civil Procedure Rules, Criminal Procedure Rules, Dealing with Conflicts of Interest. Planning/Reporting/Progressing Investigations. Basic planning, Analysis and review, Types of information, Confirm and agree the objectives, Potential Constraints, Planning to carry out your investigation & Dealing with conflict of interest. Gather Evidence: Types of information, Identifying, Preserving and Collecting Evidence, Continuity of evidence /Chain of evidence, Data Protection Act for obtaining information, Interview people to gather information, Communication methods, Questioning techniques, Interview Witnesses, Interview Suspects, Taking statements, Surveillance methods. We are available throughout your investigation career – look at our process server and other training options to expand your skill set. We support and assist. The Awards we offer are listed on the Ofqual register which regulates qualifications, examinations and assessments. 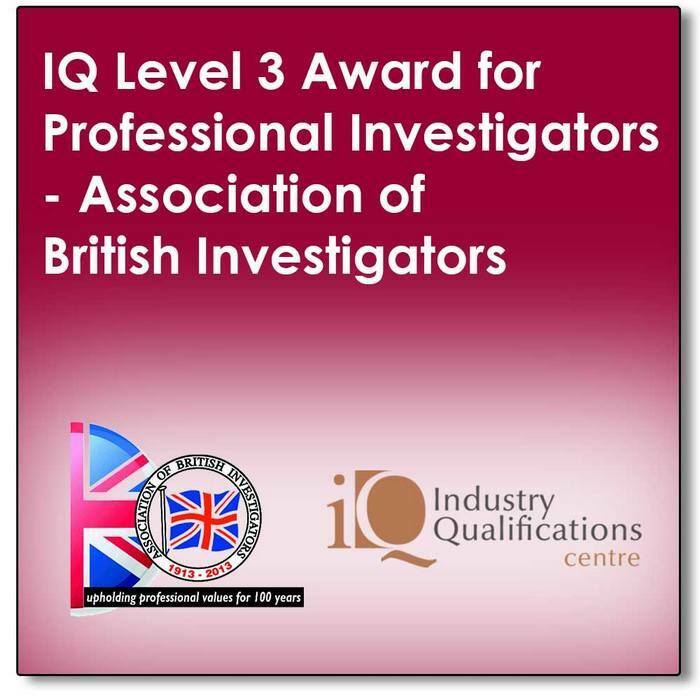 Private Investigator Training UK,Vicarage Chambers, 9 Park Square East, Leeds, LS1 2LH. Private Investigator Training UK,Blackwell House, Guildhall Yard, London, EC2V 5AE.